LISTEN NOW! Greg as Greg shares the secrets to being protected that are found in God’s word. Psalms 40:1-3 states “Blessed are those who have regard for the weak; the Lord delivers them in times of trouble. The Lord protects and preserves them—they are counted among the blessed in the land— he does not give them over to the desire of their foes. The Lord sustains them on their sickbed and restores them from their bed of illness.” The first secret is that it’s not about me but about other people and in particular the weak. If we have regard for the weak we will see the hand of the Lord move on our behalf. God wants us to stand for the weak those who don’t have a voice. Children are an example of those who don’t have a voice, those who are not heard. They need you to turn to them and focus your attention and love to them. Regard means to look upon, think of and respect. Think of the weak all around you, those who sick, elderly, young, and disabled. When you do God looks after you. 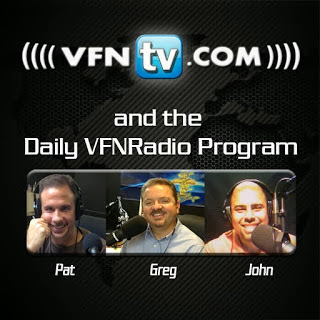 Greg, John, and Pat discuss how Forbes magazine just listed Russian President Vladmir Putin as the most powerful leader in the world over President Obama. We are seeing before us a President that was selected before he was elected and the weakening of a nation. When you see a country like Russia be lifted up, when you see Putin leading the other nations in G20 summit e Americas leader coming last, when you see the United States taking direction from Russia. When you see our leader bowing down to the king of Saudi Arabia and how veterans being blocked and not honored things are going down fast. It is time for the “Josiahs” to rise up. You are Josiah! You are the leader, the king if you will and you can elect representative government to represent you and to stand and defend the Constitution. Ultimately what does being Josiah mean? It means you are in authority, you are going to get the word of God in you and repent before God. It’s time to play our role. John, Greg, and Pat discus how fragile life is and the need to give everything we have to God in the time we have to give it. The further discuss the tragedy that claimed the life of Bradley Braland, communications director for CFaN Reinhard Bonnke’s ministry. They underscore the reality to that tomorrow is written in a fool’s calendar all we have it today. They continue to discuss the need not to live presumptuous way but to realize the fragility of life and that no one is promised tomorrow.